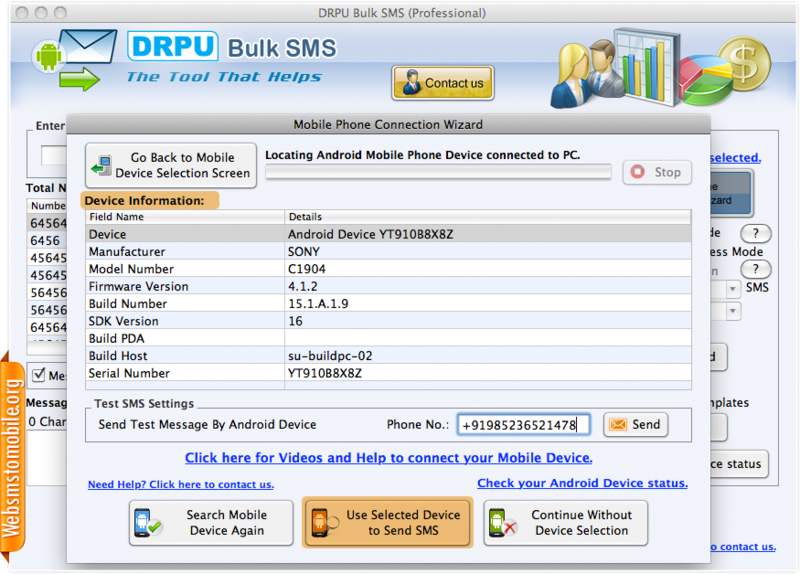 Screenshot displaying details of connected device. 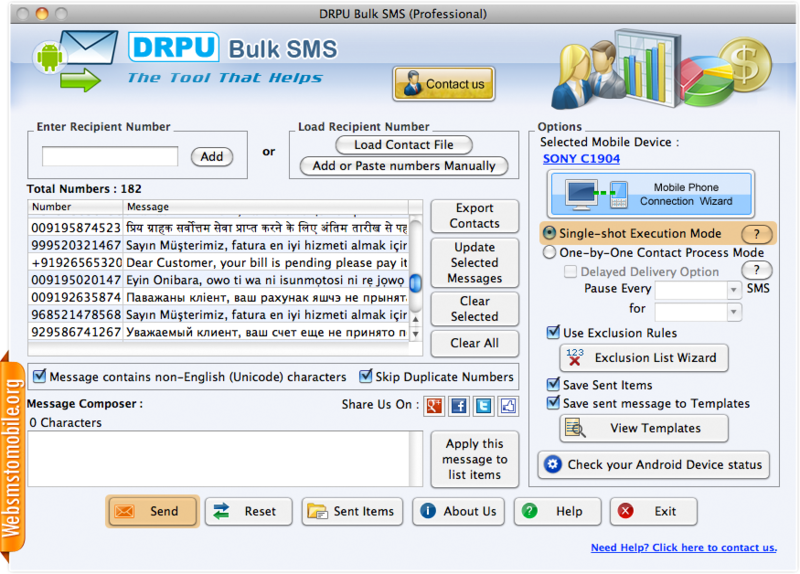 Click on 'Use Selected Device to Send SMS' button to proceed. 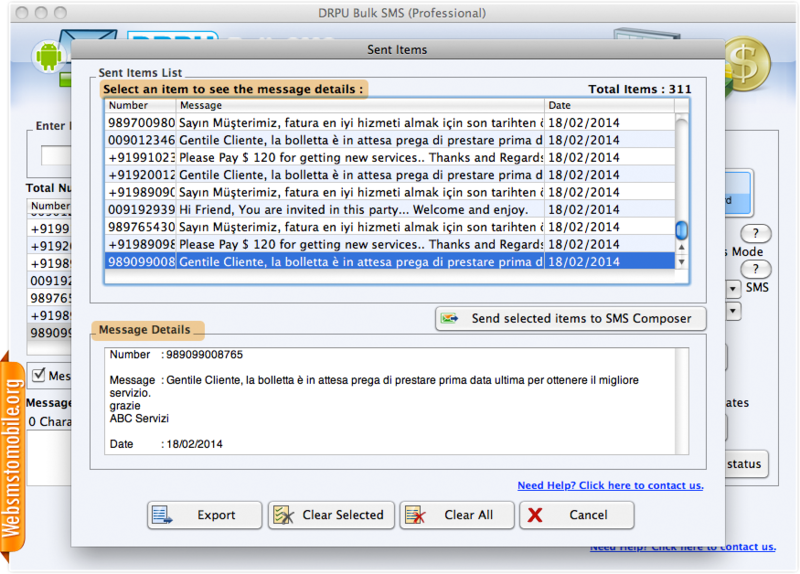 Choose execution mode of sending messages (Single-shot or One-by-One) from right panel. Select other software features as per need then go to send button. 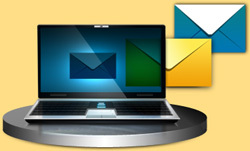 To view details of sending messages, select particular message from sent items list. You may also export sent items list for further use.